The attorneys at Goldstein & Stamm, P.A. provide representation for clients facing suspensions or revocations of their license or privilege to drive by the Maryland Motor Vehicle Administration (MVA). These suspensions or revocations can be generated by provisional license holders who receive moving violations, drivers under the age of 21 who receive alcohol violations, convictions for drunk driving (both convictions in the State of Maryland and out of state convictions), violations of license restrictions, proposed actions by the Medical Advisory Board (MAB), and point accumulations. Generally speaking, the MVA will seek to suspend your Maryland license or privilege to drive if you accumulate eight (8) points or more during any two year period. The MVA will seek to revoke your Maryland license or privilege to drive if you accumulate twelve (12) points or more during any two year period. The alternatives that are available, short of suspension or revocation, depend greatly on the driver's driving history and the nature of the offense which led to the point accumulation. By law the MVA must notify the licensee of their intent to suspend or revoke the licensee's driver's license or privilege. These notices typically require immediate action. Failure to promptly respond to a notice of suspension or revocation may possibly result in an inability to challenge the proposed suspension or revocation or to seek a lesser consequence. 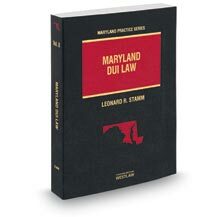 If you are a Maryland licensee that has recently been convicted of a traffic offense and believe that the MVA may be seeking to suspend or revoke your privilege to drive it is important to immediately contact an attorney to discuss your options. The attorneys at Goldstein & Stamm, P.A. have extensive experience dealing with the Motor Vehicle Administration and can help guide you through the hearing process.